There are 12 days remaining to support the Animal Warriors of the Kingdom Kickstarter project! We’ve talked about it once before and as part of our Armchair Coverage of Joe Con 2016 but it’s time to sound the rallying cry once more! The Animal Warriors of the Kingdom can use your support! Time is running out! Yes, I realize that there are plenty of high-quality toy lines vying for the attention of collectors these days. From the Marauder Task Force to the amazing Vitruvian HACKS to the forthcoming Legends of the West, collectors are finding themselves faced with a veritable cornucopia of high quality products to choose from. From modern military to Greek mythology to the Old West, there seems to be something for everyone. So what makes the Animal Warriors of the Kingdom unique? What reason could I possibly give to persuade action figure collectors to support this project in its final two weeks? Five Reasons to Support Animal Warriors of the Kingdom. The Animal Warriors of the Kingdom have invaded Joe Con 2016! Sure, the core focus of Joe Con 2016 is firmly centered on the G.I. Joe brand but over the past few years there have been several new exhibitors who have been attracting quite a bit of attention. From Marauder Gun-Runners to Boss Fight Studio, third party toy companies have been steadily making inroads with the 1:18 scale crowd and this year is no exception. Case in point: Spero Studios’ Animal Warriors of the Kingdom! 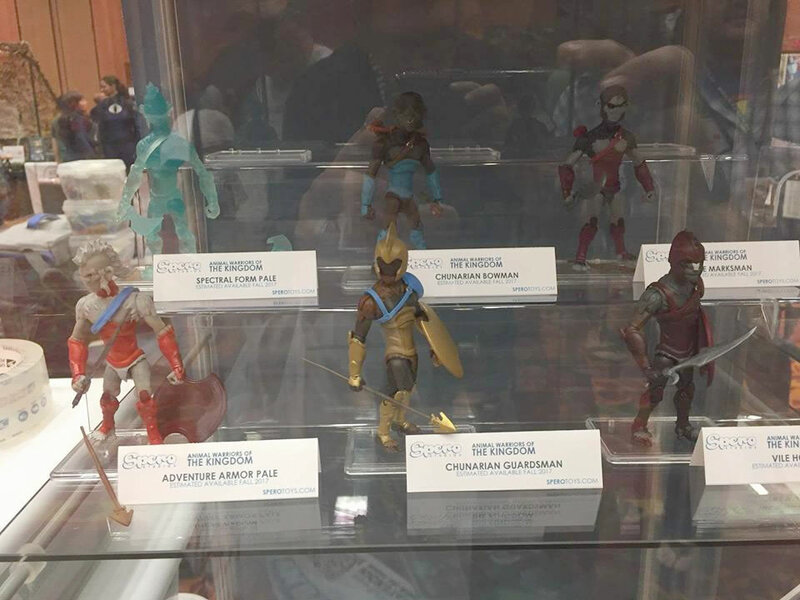 On display this weekend at the Broken Arrow Toys booth (run by a good friend of JBL), Spero Studios has been unveiling test shots and production samples from their forthcoming Animal Warriors of the Kingdom line that is currently funding on Kickstarter. (HINT!) 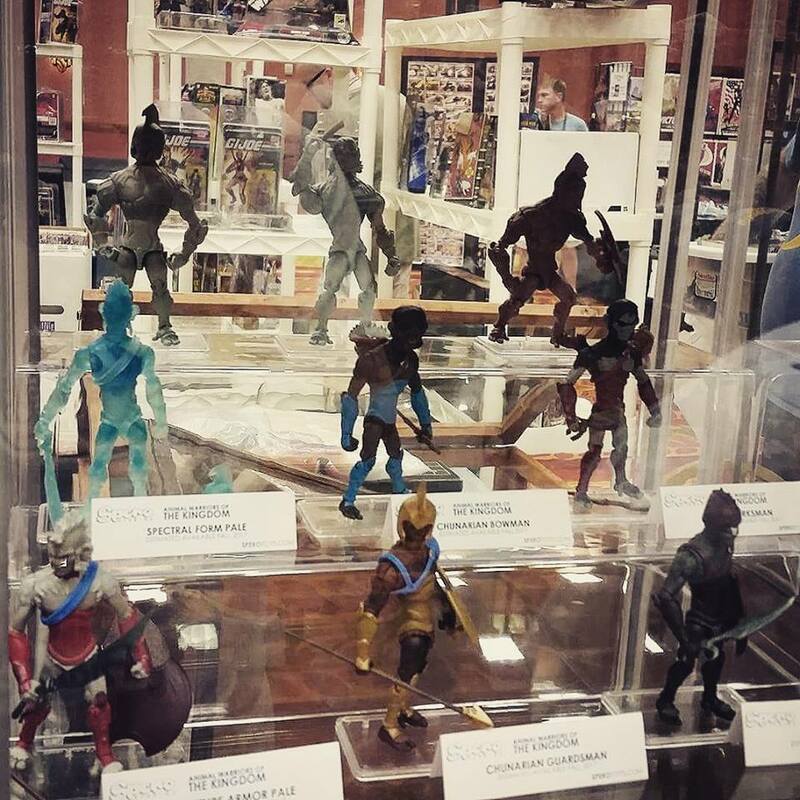 Today, just an hour or so before the Hasbro panel was scheduled to begin, they unveiled some of the next series: the BIG APES!!! Seriously– my primate-fascinated mind cannot begin to describe how awesome these are! I’m already picturing where I can put these guys on my shelves– somewhere down from Captain Simian & the Space Monkeys but not too close to the Planet of the Apes! 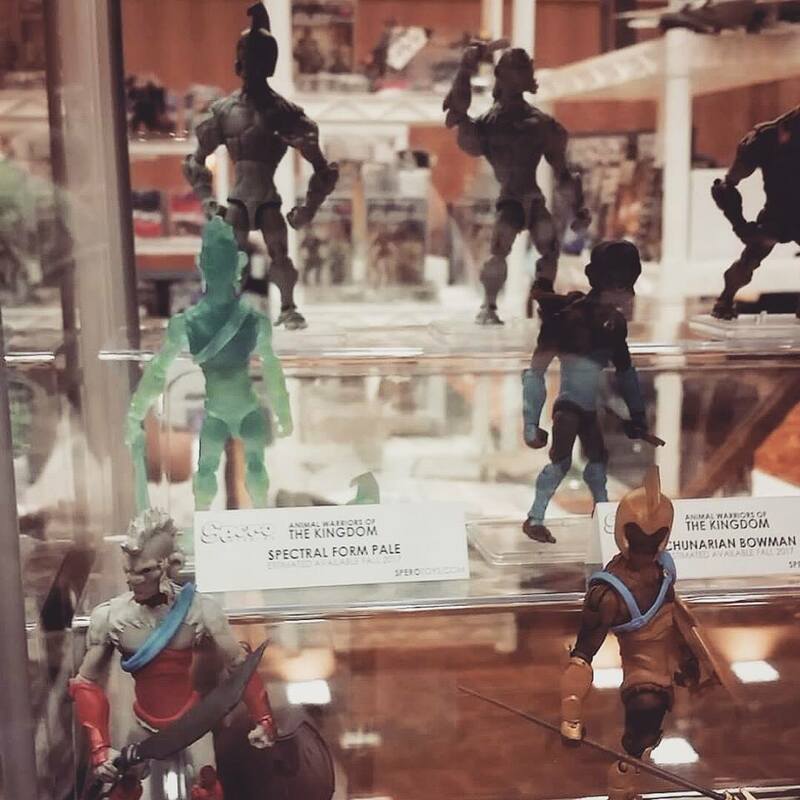 In addition, the production samples for the entire first series were also on display! 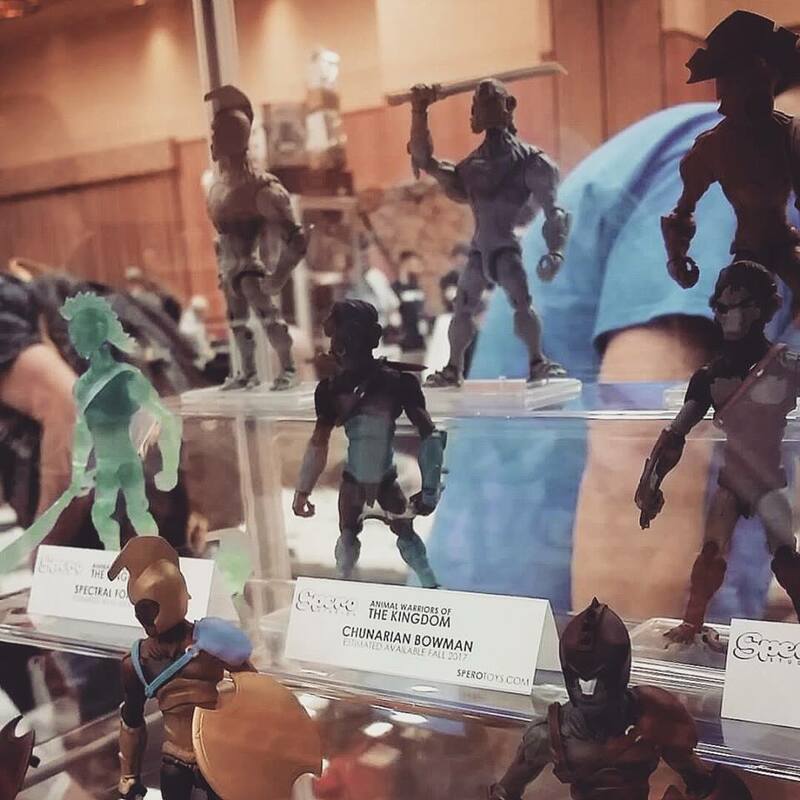 If you’re at the event and you’re on the fence as to whether you’d like to support the Animal Warriors of the Kingdom Kickstarter, stop on by the Broken Arrow Toys booth and check’em out! To follow more news from Spero Studios, follow Animal Warriors of the Kingdom on Facebook and consider throwing some support behind the Animal Warriors of the Kingdom Kickstarter. With 21 days to go they’re currently at $20,000 of a $52,000 goal! Keep checking back for more of JBL’s Armchair Coverage of Joe Con 2016! Support the Legion XIV Kickstarter! The Legion XIV Kickstarter can use your help with just SEVEN DAYS to go! What is the Legion XIV Kickstarter project? Simple: it’s a fan-driven endeavor to add a bit more diversity to your 1:18 action figure shelf. The goal of the project is to secure funding to produce a highly articulated 1:18 series of modern army female action figures! That’s right– FEMALE action figures! Think about it– new female action figures made from a combination of both ABS and PVC plastics to allow for maximum durability and flexibility! The Legion XIV Kickstarter’s modest funding goal of $21,000 will cover the production of the Basic Army, Basic Air Force, Night Ops, and Basic Blue trooper shown in the images below. (The last one is especially key— it’s essentially a FEMALE COBRA BLUESHIRT!!!) Remember how crazy fans went for the Night Stalkers from the Tanks for the Memories convention set back at Joe Con 2007? Plus, have you SEEN the stretch goals? Let’s just say that Nick Fury and Baron Strucker have the chance to add some lovely ladies to their respective commands as well!